Seriously, I thought to myself, is this worth sharing? 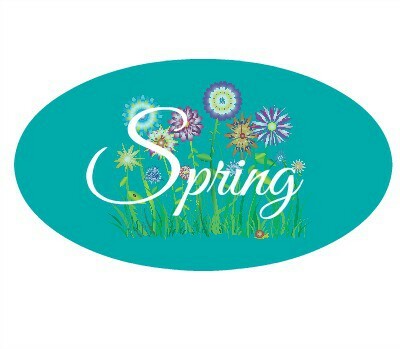 Today,I am sharing how I made spring art on a tin plate. Yes, it is worth sharing, because it was so budget friendly, it can be changed in the future, and it’s pretty darned cute! I think so anyway. I love this plate for some reason. It has a vintage appeal to it that I like. I placed my bird stencil that I also bought at Michaels in the center of the plate. I didn’t even need to tape it down. The sticker that it came with in the pack is all I used to place it on the plate. I did a pounce, pounce, pounce with black craft paint and lightly held down the stencil to keep it in place. 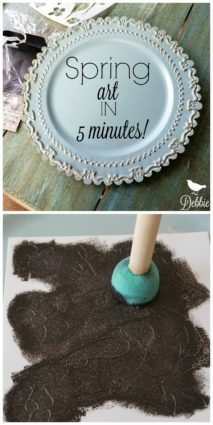 Less paint is more- remember what I always say when it comes to stenciling. You can always go back and fill in the spots you missed. But if you use too much paint you will have bleed through and a mess of a stencil job. And said, hello Spring bird plate! Sharing is caring:) Don’t forget to pin and share with your friends. Thanks for stopping over today. If you are new here, welcome. and Plenty more to look through. 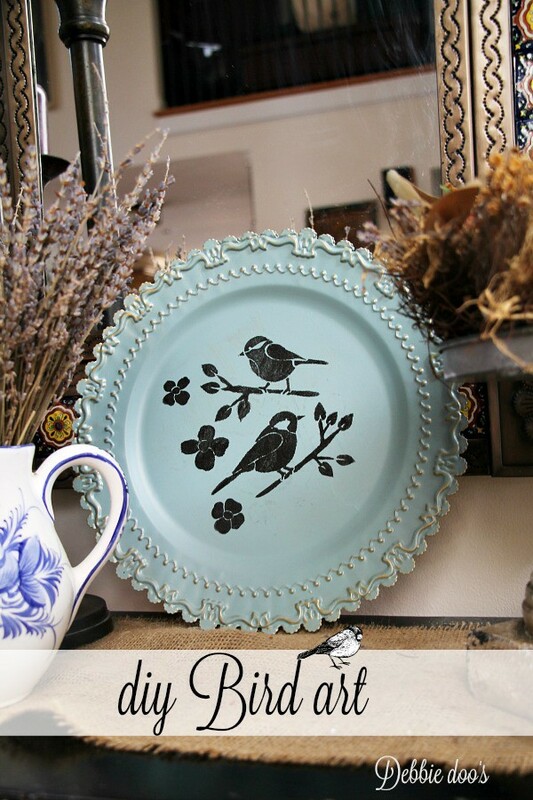 The birds brought the plate to life…so cute! Yes! Very much worth a mention. 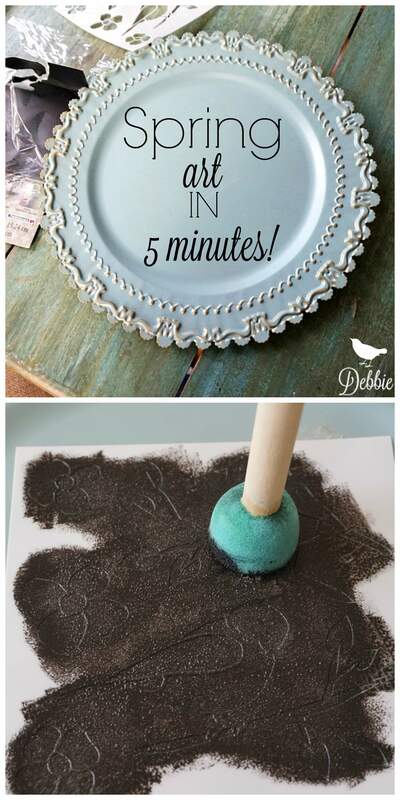 I’m crafty challenged, would never have thought of this myself, and now I have a great project in my future. Amazingly enough, I do have that same plate from Michael;s already. Saw it a few weeks ago, and I knew it could be used for something! As always, thanks for the inspiration! 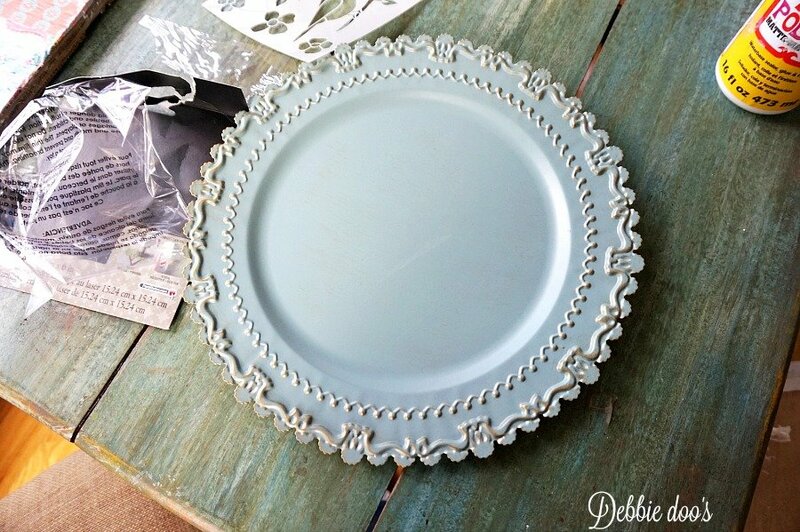 What a pretty plate Debbie. 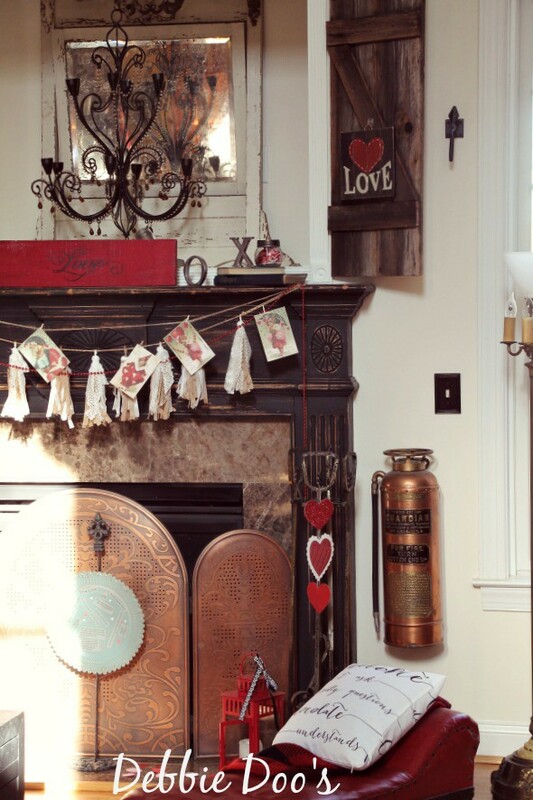 I love how you embellished it by stencilling. So cute! Hope you have a great weekend! Thank you Pam! Enjoy the weather. It is suppose to be beautiful here. Oh ya, so worth mentioning!! 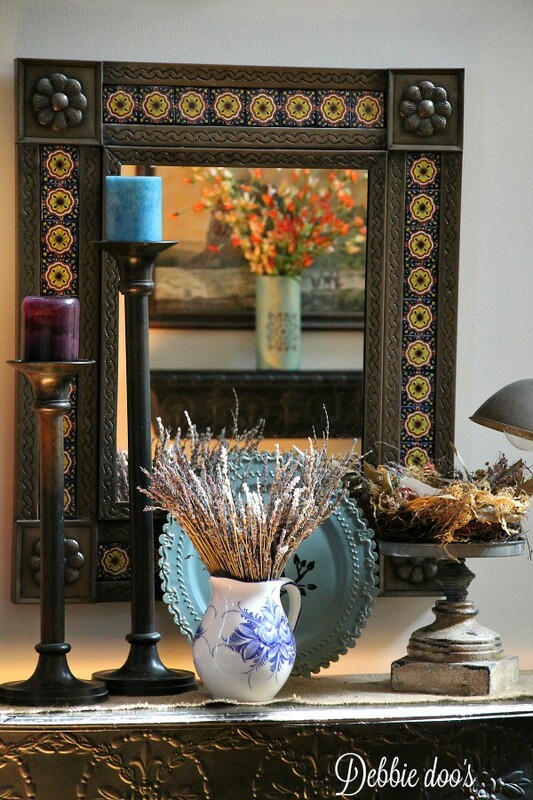 I love it…..such a quick fix for Spring. The black birds just pop; makes the plate even more lovely. Thanks for the share! I’m so glad you decided to post this, Debbie. It’s so cute!!! Thanks! 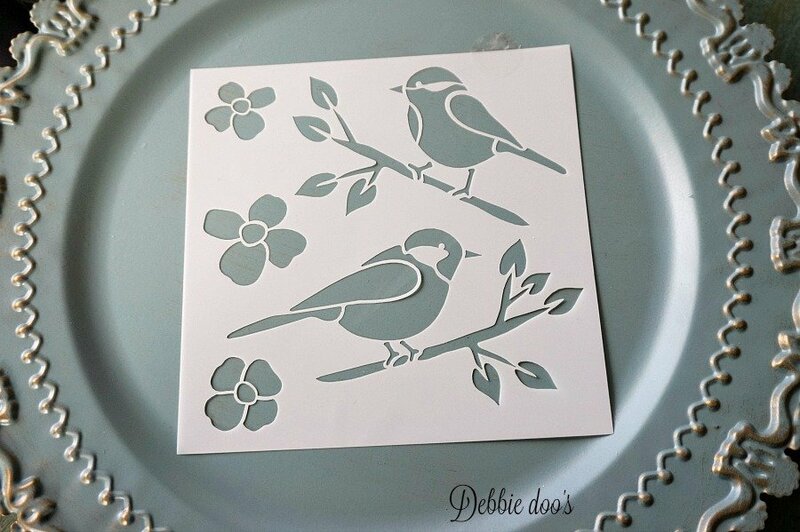 I love the stencil and I love birds also!! Your birdie plate was in my post this morning. You are sooo right! It’s “pretty darn cute”. So very cute and easy. Did you make the bird nest next to it? Looks like it has some burlap in it. No Carolyn, My Mom bought me that nest years back. I don’t think there is any burlap in it..I will have to go down and look now lol. This is so beautiful Debbie! I love it! 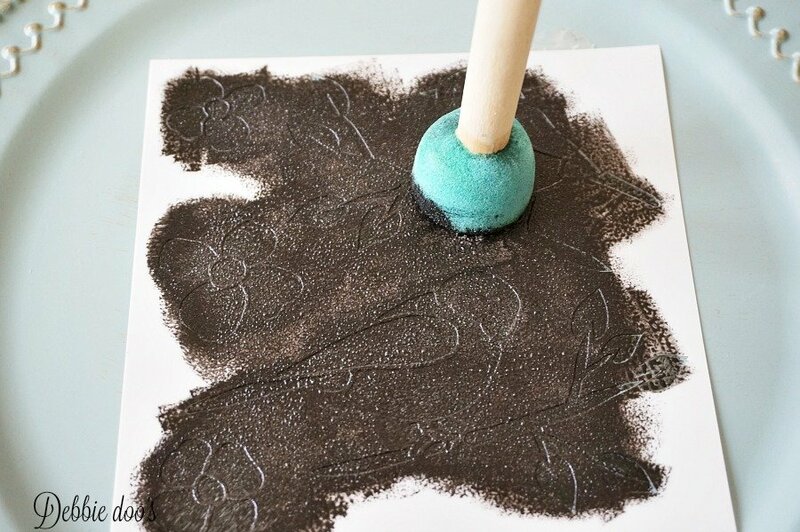 Pinning to my Frugal home decor board! Hi Debbie! 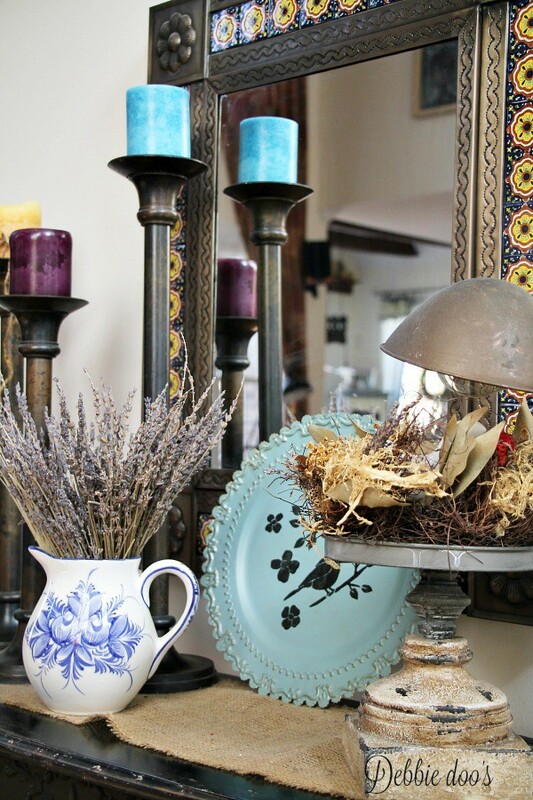 I love how your bird plate turned out and yes, it is perfect for spring! I see it behind a cute Easter setting next… 😉 Happily pinned for you and our readers who ALWAYS love a good craft! Hugs and it’s almost spring!